Babies have control over their hands long before they develop the fine motor skills required for speech. By teaching their infants to sign, starting as early as eight months, more and more parents, grandparents and caregivers are recognizing the many benefits of this early communication. 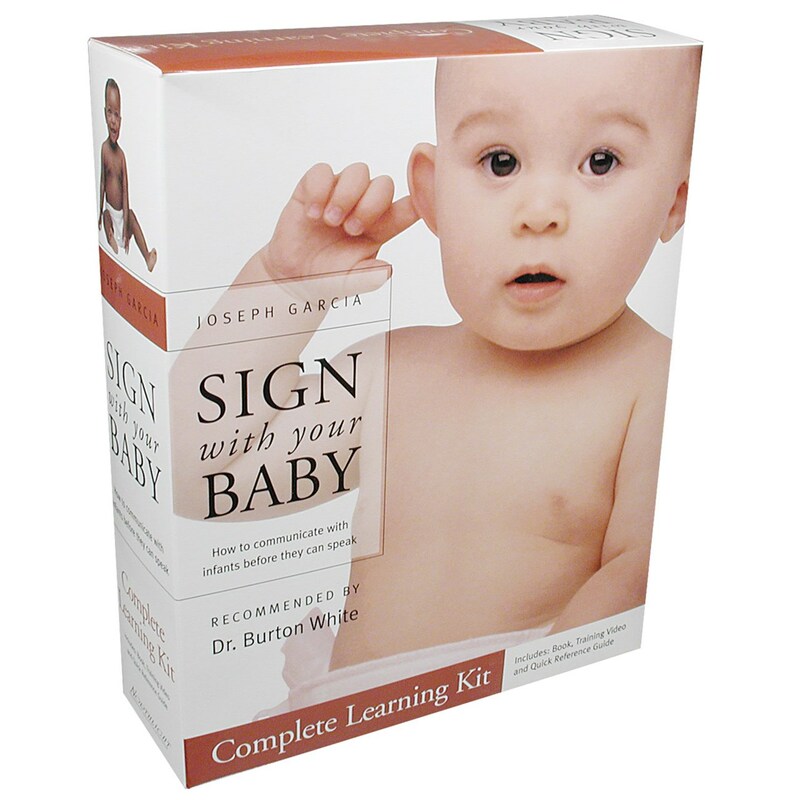 Produced by an international-award-winning team, the SIGN with your BABY Training Video offers you instructions, demonstrations and tips from author and researcher dr. Joseph Garcia. It also features practical insight from Dr. Burton White, a leading authority on early childhood development, as well as from Speech-Language Pathologist, Alice Stroutsos, who uses signing in her practice and at home. Interviews with parents and grandparents who share their experiences, and eye-opening footage of their signing babies offer an inspirational vision of the power of Joseph's system. This method does not require learning an entire new language. Rather, Joseph teaches you how using some simple ASL signs can make a big difference in your parenting. You can empower your baby and establish the foundation for a lifetime of effective communication. This video gets you started fast with its easy-to-follow how-to method. It provides practical tips to help you and your baby begin signing and offers demonstrations of the most effective signs to use with your child. The video will also give you and other caregivers the instruction and inspiration to help ensure your success. Feature rich menus allow viewers to quickly view sign demonstrations or locate specific scenes. VHS. Closed Captioned. Running time: 63 minutes.